Who benefitted the most from the crime of Gandhi’s assassination? Was it not the Nehru family and their “family firm”, the Congress? Will the #FakeGandhis stop misusing the real Gandhi’s legacy and name? Should they be morally condemned as #NameChors? The book is now out of print and could be hardly found and definitely cannot be imported into India as it is legally banned. Who fears the truth? Why did the Congress government implement and maintain the ban? Who were the beneficiaries of the crime of Gandhi’s assassination? The group that benefited the most from the crime was the Nehru family, the then Congress party led by Nehru, and to this date led by his family. Of course, strictly speaking, the present congress party is not a “grand old” party but a relative newcomer called the Indira Congress that usurped the name of the Indian National Congress. One would hope that the astute observer of the history of modern Indian politics will have gathered these from the facts, if not from the different symbol used by the present-day (Indira) Congress Party, which is supposedly the hand of Devi Parvathy from a Kerala temple. As an aside, please do think what sort of gratitude this family and their party have towards the Hindus in return. The original symbol of the Gandhi-led Indian National Congress, the real Indian National Congress (INC) is the spinning wheel (rātnam). Even if this can be excused, how can one excuse the usurpation of the family name of somebody who is unrelated to them by blood or marital connections? If ever a crime, such as murder, is committed often the person or set of people who benefit the most are considered an automatic suspect or a suspect-abettor and at least cursorily investigated by the police. However, this never appears to have happened in the case of MK Gandhi’s assassination even while the obvious beneficiaries are staring at the face of the nation. The man (and the little known NGO, Abhinav Bharat) behind the above exposé is also unravelling further inconsistencies in the Gandhi assassination case. (5) Not only are there uninvestigated possible suspects roaming freely till date but the case itself has records of gaping gaps. From the police records and witness statements to the postmortem reports and the newspaper reports from across India and the globe, different set of papers and documents on record report a different number of sounds of gunshots and number of gunshot wounds and/or bullets recovered. The activist has approached the Bombay High Court and the Supreme Court for various issues related to this much-ignored saga, from the petition for the lifting of the ban on the book mentioned above and for the reopening of the investigations on Gandhi’s assassination with specific reference to the many inconsistencies that the activist has discovered. He appears to have submitted those facts to the Courts. Who was behind Godse and the real brain behind Gandhi’s assassination? Who would do that and why, especially when the person dead was the father of the nation? Who would be capable of such acts? Think. Repeat impersonation for political gains? Her paternal grandfather’s name was Feroze Jehangir “Gandy” (rhymes with candy and nothing to do with Gāndhi) and her husband’s name is Robert Vadra. Her father, following on the footsteps of her grandmother, had used the surname as Gandhi. The claim is that Feroze Jehangir, the husband of Indira Nehru, reanointed himself as Feroze Gandhi after joining the Congress. What is the evidence for it? The only credible evidence is unreferenced hearsay quoted in the footnote of one of Ramachandra Guha’s books. (10, 11) Even if it were true then that makes Feroze Jehangir a usurper of names for personal gains, which could potentially classify as the crime of fraud and impersonation. Who was behind Godse and the real brain behind Gandhi’s assassination? Will the #FakeGandhis stop misusing the real Gandhi’s legacy and name? Should they be morally condemned as #NameChors? When will the epithet Satyameve Jayate become a reality in India, from being a mere slogan, or will it remain a pipedream? Kamath MV What If Godse’s Bullets Had Missed Gandhi? https://www.outlookindia.com/. Available at: https://www.outlookindia.com/magazine/story/what-if-godses-bullets-had-missed-gandhi/224860 [Accessed December 14, 2018]. Elst DK (2018) Nathuram Godse’s ties with the RSS. Bharata Bharati. Available at: https://bharatabharati.wordpress.com/2018/02/02/nathuram-godses-ties-with-the-rss-koenraad-elst/ [Accessed February 2, 2018]. CNN-News18 (2014) Mahatma’s great grandson asks Rahul not to use Mahatma’s name in polls (Youtube) Available at: https://www.youtube.com/watch?v=ivuvz_iaPFo [Accessed March 13, 2019]. Abhinav Bharat Available at: http://www.abhinavbharat.org/blog.html [Accessed December 16, 2018]. Abhinav Bharat Available at: http://www.abhinavbharat.org/about_pankaj.html [Accessed December 16, 2018]. Mumbai resident moves SC again for reprobe into Mahatma Gandhi’s assassination The Week. Available at: https://www.theweek.in/news/india/2018/10/02/mumbai-resident-moves-sc-again-for-reprobe-into-mahatma-gandhi-assassination.html [Accessed December 14, 2018]. Naveen P (2018) Review petition in SC seeks re-investigation into Gandhi’s assassination. The Times of India. 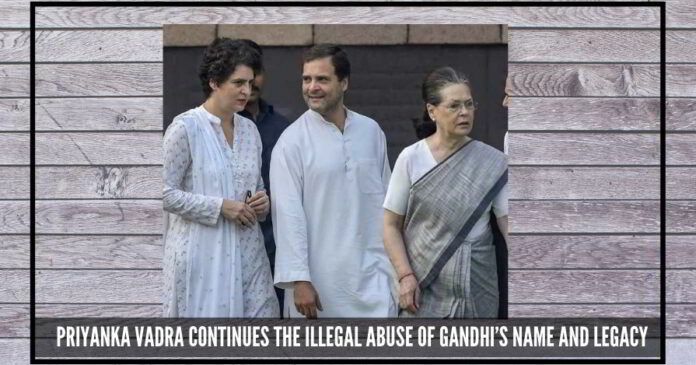 Available at: https://timesofindia.indiatimes.com/india/review-petition-in-sc-seeks-re-investigation-into-gandhis-murder/articleshow/66038320.cms [Accessed December 14, 2018]. Wikipedia contributors (2018) Catholic Church sexual abuse cases. Wikipedia, The Free Encyclopedia. Available at: https://en.wikipedia.org/w/index.php?title=Catholic_Church_sexual_abuse_cases&oldid=836032052 [Accessed April 21, 2018]. Singh S (2018) Know about the bloody role the Church played in the country PM Modi visited yesterday. rightlog.in. Available at: https://rightlog.in/2018/07/rwanda-genocide-church-01/ [Accessed July 28, 2018]. Wikipedia contributors (2018) Feroze Gandhi. Wikipedia, The Free Encyclopedia. Available at: https://en.wikipedia.org/w/index.php?title=Feroze_Gandhi&oldid=871571385 [Accessed December 14, 2018]. Guha R (2017) India After Gandhi: The History of the World’s Largest Democracy (Pan Macmillan) Available at: https://market.android.com/details?id=book-AW4sDwAAQBAJ. A medic and a graduate of the University of Cambridge, England,involved in inter-disciplinary research for the inculcation of a scientific rigour in the outdatedfields of humanities: putting "science"
Anyway the Cult of Bloodlust, White Supremcist and genocide. the evil church has been doing the same with the help of White created bastards. NATIVE INDIANS HAVE TO RISE TO THIS CULTURAL GENOCIDE..Canada carried it till 1996 and Australia carries even now against the No white Non Christian Maoris.